The 2017 Bayeux-Calvados Prize for Correspondents of Wars winners were announced this weekend. The 2017 jury composed of of nearly fifty major reporters, distinguished winners of several major categories, ranging from print media to radio, television and young reporter. In the photography category, the Iraqi photographer Ali Arakady (Vii agency) won the Nixon Prize of the International Jury with his series Kissing Death. The second prize goes to the French photographer Laurent van der Stock, correspondent for Le Monde, for his series La bataille de Mossoul. Lorenzo Meloni, member of Magnum agency, is third with his series The fall of the Caliphate. 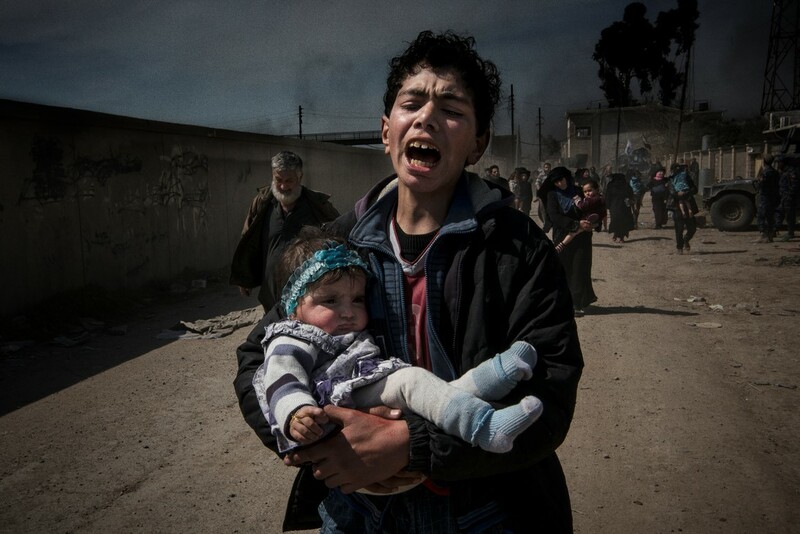 The Audience Award, sponsored by the French Development Agency (AFD), goes to to French photographer Antoine Agoudjian for his series The Conquest of Mosul West published in Le Figaro magazine. A complete prize list is to be discovered on the site of the Prix Bayeux-Calvados.